This graph shows the share of nonprofit organizations in the United States, who reported facing specific financial stresses as of 2011. 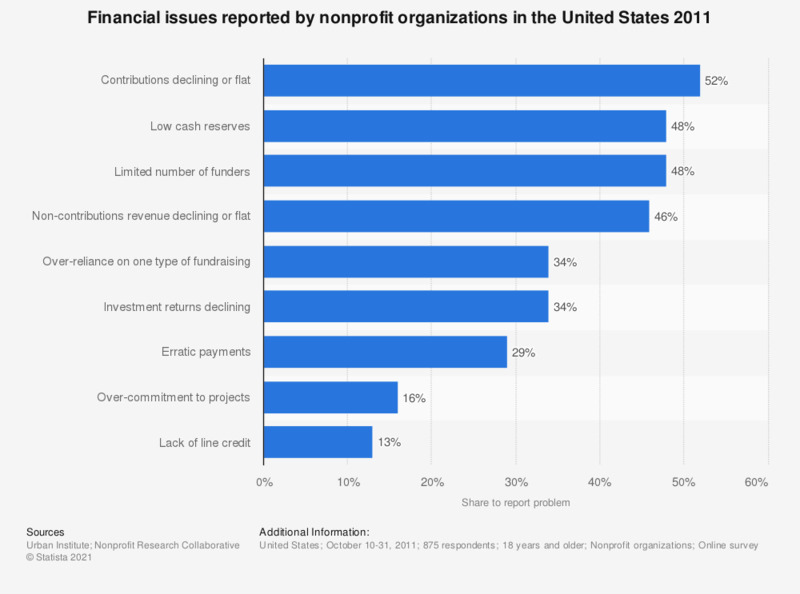 48 percent of nonprofit organizations surveyed said that they had financial problems due to low cash reserves. Nonprofits budget plans for 2012 compared to 2011 U.S.